I had the beautiful challenge to cast this urgently relevant and timely work. Although I adore working within the independent film space, theatre is my first love and I had been missing casting for the stage. Collaborating and connecting with two astounding British natives Christopher Green http://christophergreen.net/ & Holly Race Roughan http://www.casarotto.co.uk/client/holly-race-roughan-20295 was incredibly satisfying . In film project news, congratulations to the creative team and cast of Off Track Betty http://www.offtrackbettythemovie.com/for winning the Best Work on Film prize at the 2018 Queens World International Film Festival. Written and directed by Clayton Dean Smith, https://www.claytondeansmith.com/was an amazing journey to cast and co-produce this evocative New York centric film. Our feature length documentary And…Seen http://iaintplayin.wix.com/AndSeen has completed post production and ready to hit the festival circuit. Co-produced by Red Wall Productions, http://www.redwallproductions.com/ we seriously Ain’t Playin’! On the casting front we are currently reading scripts and knowing as always the next meaningful collaboration is around the corner. Teaching and coaching keeps me grounded and is an amazing way to scout emerging actors for upcoming projects. 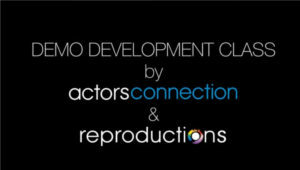 I’m delighted to be one of the casting coaches for an upcoming Demo Develpoment class at Actors Connection and in association with Reproductions. Check back for updates and enjoy the emergence of Spring. Hopefully it will arrive before Summer.